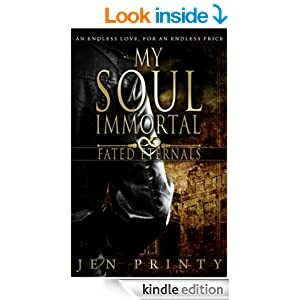 paranormal slant, not the usual vampires or werewolves, but Soul types and Immortals who run human lives and deaths. and as always there are hiccups beyong anyone’s control. behind Leah’s strange dreams? There’s a long haul ahead for them if it is to work out and they need help. Its a fun read, a romance with a difference. Its not a heartstopping passionate story but one to wonder – is this what life is really like? Who knows really whether we’re just playthings of some immortal deities or whatever…..
isn’t a cliffhanger in the widely accepted sense, this story ties up neatly but the ending does leave a fairly stupendous bit of news that will lead to the next book. Like a bargain? Entangled steals and deals sign up link. http://www.entangledpublishing.com/category/steals-and-deals/ sign up on this link, to get emailed info about bargains.